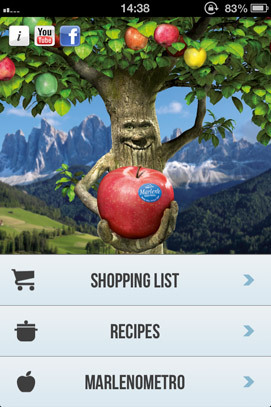 now also right there on your smartphone. 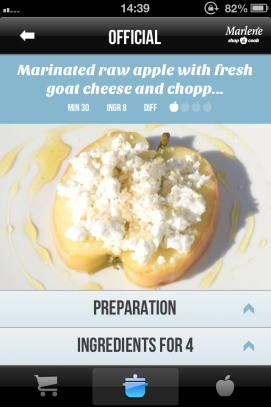 Use the Marlenometro® to select your favourite apple, and then get ready to prepare some of the over 100 recipes taken from “Apples in Dolomite Cookery – 75 delicious recipes” (by Stefan Stabler, published by Athesia) and “Cooking in the Dolomites” (by Heinrich Gasteiger, published by Athesia). 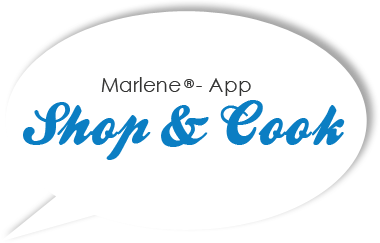 According to your choice, you then effortlessly create your own personalised shopping list, with all the necessary ingredients, waiting for you in your telephone when you go shopping. list is always at your finger tip on your smartphone. created with your favourite ingredients. ready to explore the versatility of the apple in the kitchen. 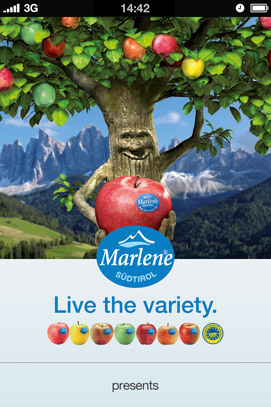 Discover Marlene®’s variety line-up and use the Marlenometro® to choose your favourite apple. 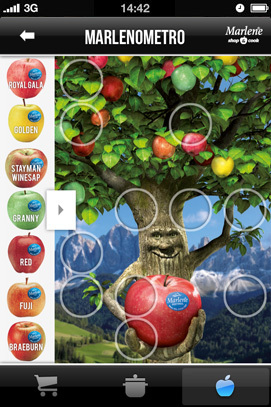 flavours of apples grown in South Tyrol’s mountain valleys wherever you go.